A proper epilepsy diet plays a major role in getting rid of seizure instantly. Epilepsy is a kind of disorder in which a sufferer experiences two or more unprovoked fits. There are different reasons of this disorder such as any injury or accident that has affected the brain. Though, there are some drugs available that can cure Epilepsy, but their effects are not 100% positive. According to a latest research, as compared to drugs, a proper diet is very beneficial for treating epilepsy. Let us take a look on how diet can affect Epilepsy! There are numerous elimination diets that can help you to over the problem of seizures. Basically, there is a direct link between the diet and the Epilepsy. The elimination diet is dependent on avoiding particular foods such as salicylates, additives and other chemicals present in the food. There are many reports according to which some food additives can cause seizures such as bread preservatives, propionic acid and a few others. Excessive intake of propionic can also cause seizures. Moreover, the salicylates in drugs are one of the causes that may cause seizures. Keto diet is one of the most effective solutions for controlling severe epilepsy. This is a low carbohydrate and high-fat diet that helps in controlling seizures in the people suffering from epilepsy. This diet is monitored by a dietician and prescribed by a physician. Basically, this diet, which is also known as “long chain triglycerine diet” contains 3-4 grams fat for every 1 gram of protein and carbohydrates. The kinds of the keto diet include mayonnaise, olive oil, canola oil, butter and heavy whipping cream. This diet needs close medical supervision and if your child is taking it, then have to admit in the hospital for minimum 5 days in order to commence the diet. The physician will check that the diet does not contain carbohydrate or sugar and throughout their admission, the blood level of your child along with urinary ketones will be monitored. One of the most important Epilepsy facts is having a proper and nutritious diet. A healthy lifestyle and well balanced diet are very helpful in controlling seizure. However, the ketogenic diet is generally prescribed for children suffering from serious drug-resistant epilepsy. 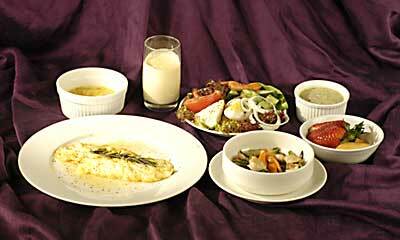 This diet helps in stimulating the starvation by compelling, the body to burn fats rather than carbohydrates. Though, there are chances that it may lead to growth retardation, low blood sugar, and constipation and bone fractures. According to the studies, approximately 1/3 of the children get effective results with the Ketrogenic diet. Ninety percent of them have controlled seizure and half of them become free from this disorder. For sure these are one of the amazing Epilepsy facts one should be familiar with.